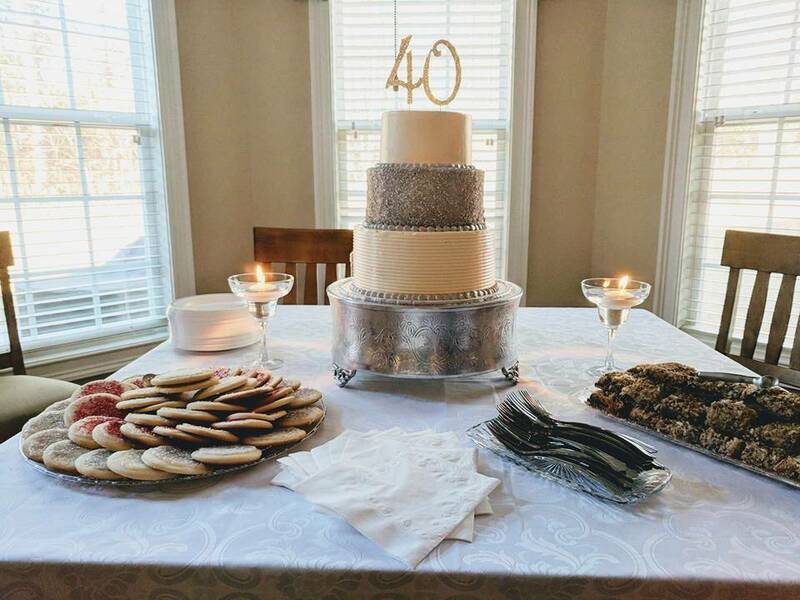 My parents had requested a silver and white cake for their anniversary. I had planned on doing a fondant and lace cake, but I just ran out of time. Luckily, we had Metallic Silver Bakery Bling in stock and I was able to whip this mini 3 tiered cake up over night. I colored my buttercream gray and side masked it with the gorgeous metallic silver sugar and BAM.....done. Easy peasy AND a life saver.